Evidently it's not just Facebook who are looking to move in on Snapchat's patch. 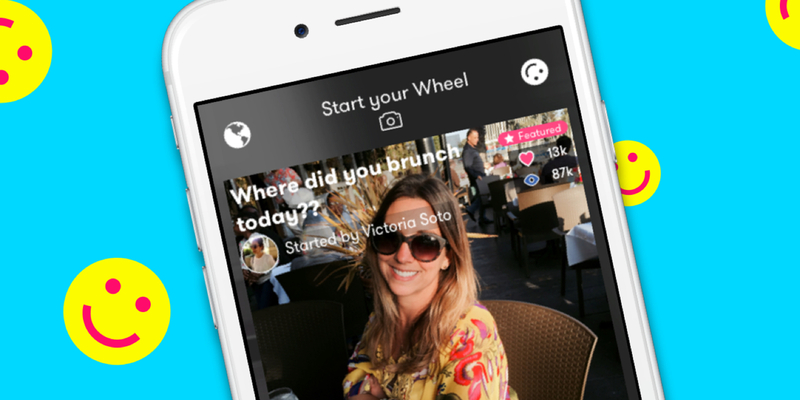 L.A. based start-up Wheel have been working away on a video-based social network which allows users to share 'video stories' with each other. Sound familiar? Well, it's clearly distinct enough to warrant an acquisition, as it's now been snapped up by none other than Tinder. That might seem like a bat out of left field for the dating app giant, but in truth Tinder is undergoing something of an identity crisis at the moment. While Tinder's user numbers never suffered any fallout from all the negative press they weathered a few years ago, the company are still determined to fix their image, both through updating the app and seeking out other ventures, such as Tinder Social, which is basically Tinder for people who just to find new friends. Even bearing that in mind though, this is a big venture. The big USP of this service is that users can make their videos public and then invite others to add to them. It's the same idea in principle as Snapchat's Live Stories, something which Snap have since deviated away from. Tinder almost certainly aren't going to approach Wheel as a standalone release, though. They haven't explicitly stated what they want to do with it, but the fact that they've brought the founding team into the Tinder inner sanctum would suggest that Wheel's features are going to be integrated into the main Tinder app in some way or another, and perhaps into Tinder Social as well. Could this mean that Tinder will have some kind of news feed or live story function in the near future which allows users to upload content to their matches? It's possible, but equally this could just be a way to make the messaging service more sophisticated. In any case, it's another step towards Tinder becoming less like a dating app and more like a social network which heavily resembles one.